The coffees are gorgeous! From Equador, El Salvador and Ethiopia – very lively and fruity, each one with it’s unique flavours and aromas. 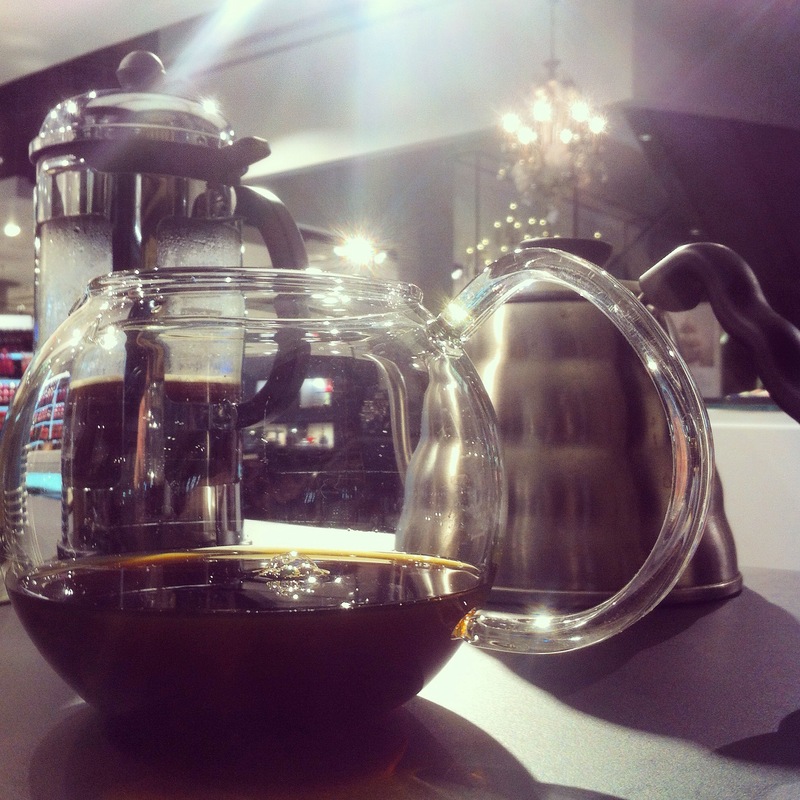 I’m using french press and V60 – keeping it simple. The challenge is a bit tricky, it is not just selling, but selling right. Making sure people can get at home at least similar results of what they’ve tried at Globus. Making sure people understand the goal of specialty coffee, the strive to produce something better and out of the ordinary. It’s all about evoking interest towards coffee. Some people do not find the acidity in light roasted coffee appealing so you have an uphill battle especially with the older generation who are used to drinking coffee with emphasis on body (Medium/dark roasts) not acidy (light roasts). Yes, I am fully aware of that Victor, you got the name of the post. But to be honest I’m not so worried. People’s preferences are changing slowly but surely 🙂 the first step would be to get them introduced to the light roast. They need explanation as for why the coffee has acidity, why does it have a “weird taste”. Only then they will be able to understand it. Someone on home-barista.com used the explanation “that is how the coffee fruit tastes like”, and I think it’s a good way to make people think about coffee differently. True that Dizzy….but it’s really interesting what’s happening, how people are reacting and what they say about the coffee. But I’m going to right a proper post about it! Coming soon!